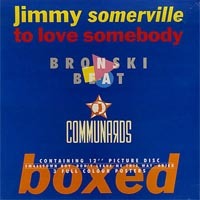 To Love Somebody Promo Box incl. 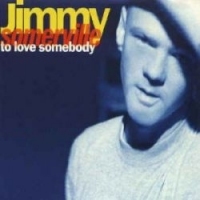 "To Love Somebody" written byBarry and Robin Gibb , Produced by Stephen Hague , © Gibb Brothers Music / BMG Music Publishing Ltd. "Rain" written by Jimmy Somerville , Produced by Jess-E / Arvil Mackintosh , Remixed by Pascal Gabriel for Made in Heaven Productions , © Jess-E Musique Ltd. / Virgin Publisher Ltd. "Why ?" written by Somerville / Steinbacheck / Bronski , Produced by Mike Thorne , Remixed by Pascal Gabriel for Made in Heaven Productions , © Bronski Music Ltd.